It’s a moot point now but Luis Severino’s first job when he reports to spring training next season is to work on how to hide his pitches better. 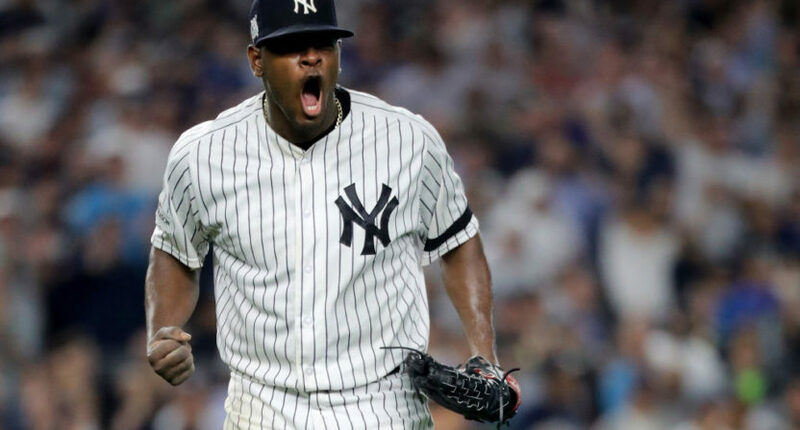 The New York Yankees ace was absolutely rocked in Game 4 of the ALDS game against the Boston Red Sox. In three innings of work he gave up six runs on seven hits and opened the floodgates for what was eventually a 16-1 drubbing that put the Sox up 2-1 in a series that they would close out in the very next game. It would have been easy enough to write off Severino’s performance as just a bad night at the worst time. However, according to Fancred’s Jon Heyman, the Yankees believe that the real issue was the fact that Severino was tipping his pitches. “The Red Sox had his pitches,’ one Yankees person says, flat out. There’s some video evidence to back this up. At one point during the broadcast, NESN showed Jackie Bradley Jr. mouthing “fastball” to Mookie Betts from the dugout on a 0-and-2 pitch from Severino to Brock Holt. Indeed, Severino delivered a 98 MPH fastball. The Red Sox also seemed to have his sharp-breaking slider figured out as they continually laid off of it whenever he delivered. So much so that he stopped using it by the time the fourth inning rolled around. In fact, he only threw one slider after the second inning, way below his usual output. Heyman also said that some people with the Yankees heard “chatter” from the Red Sox about pitch tipping, though that didn’t seem to keep them from using Severino or leaving him in for way too long.